The response to Stampin' Up! 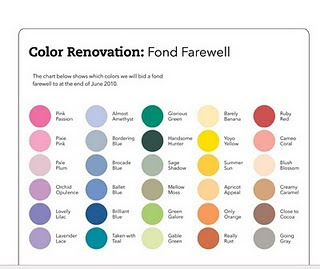 's announcement of the color renovation has led to a rush to order colors that will no longer be available after June 30th. There has been such a demand that, although Stampin' Up! tried to anticipate the demand for these colors, they have already run out of Mellow Moss and Only Orange cardstock. You can still order the ink pads and reinkers in these colors but all cardstock has been depleted. I understand that you can still get them in the color family packages but I am not sure how long those will last either. Supplies are dwindling so please let me know if you would like to place an order for any of the retiring colors. We have also been advised that they will be substituting textured cardstock for smooth cardstock if all of the smooth cardstock is gone.